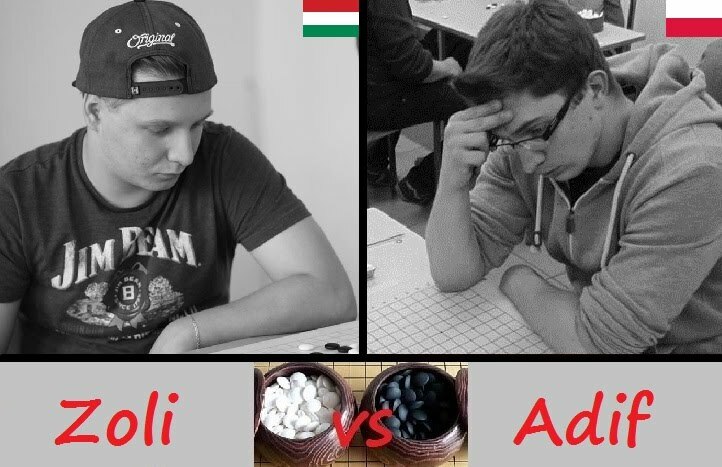 Today at 21:00 Warsaw time a long awaited WBC match will be played - Zoltán László, also known as Zoli, will face Adrian Fitzermann, also known as Adif, in the final of the upper bracket! The winner of the match gets a big advantage in the subsequent fight for the WBC title: He directly advances to the WBC final, where he needs to win only one match to become the champion, while the other WBC finalist, namely the winner of the match between Gergő Tóth and the loser of today's match, needs to win two matches in the WBC final to win the title. Today's match is also very important in terms of the team competition: If Adif wins today's match, he makes Poland the WBC team champion, so Zoli must win today to keep Hungarys hopes for the team title alive. Like all other matches in the upper and lower brackets, today's match is played until one of the competitors has at least 16 wins and at least 2 wins more than his opponent, but cannot exceed 51 non-drawn games. Zoli and Adif already met in the previous WBC season, and namely in its final, which consisted of a single match then and proved to be quite thrilling. Zoli spectacularly achieved a comfortable lead, 10-2, but then Adif managed to adapt and started closing the gap. The match ended 22-18 in Zolis favour. Both contenders are exceptionally fast thinkers and are known for their ability to instantly see complex things on the board. An excellent illustration of their speed is the first game of the last years final, where they managed to put about 130 stones. And they understand the game very deeply, as seen from their successes in live gomoku  Zoli is the current world champion, and Adif is currently 4th on the world ranking list, with his last live performance bringing him the first place in the Czech Open. Today at 11:00 in the morning there will be the last WBC match before the WBC final - Adrian Fitzermann, also known as Adif, will play against Gergő Tóth! The winner secures a place in the top 2 and advances to the final, where he meets the current WBC champion Zoltán László. What makes today's duel especially interesting is that the contenders are very different players. 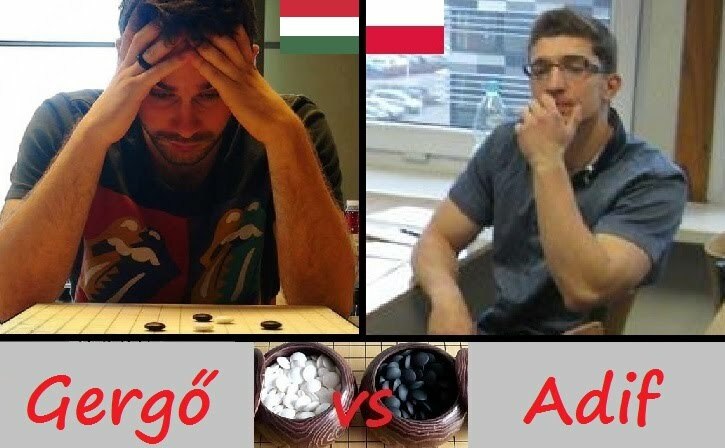 Adif is known for his very speedy but smart defensive style as well as by excellent skills of playing in a mutual time trouble, while Gergő is a very wise strategist who can prepare for and adapt to virtually any opponent and possesses huge knowledge of opening theories as well as the ability to play in a very thoughtful manner. They made very different paths to reach this match. Adifs path was pretty short and entirely via the upper bracket, while Gergő made an impressively long path in the lower bracket, winning against a galaxy of strong players such as Adrian Czychowski, Rudolf Dupszki, Márk Horváth, Kristóf Ménesi and Vladimir Nipoti. 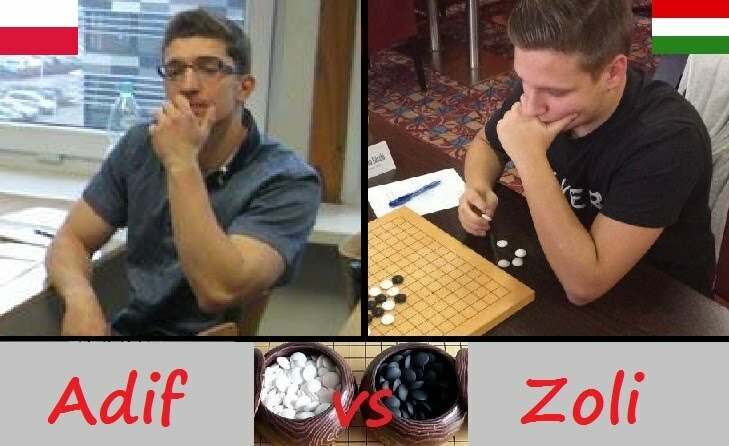 Tonight at 21:00 Warsaw time there will be one of the central gomoku events of the year - Zoltán László from Hungary, also known as Zoli, and Adrian Fitzermann from Poland, also known as Adif, will start playing Gomokuworld's Online World Blitz Cup 2018 final to determine who of them is the best one-minute gomoku player in the world. The final consists of either one or two matches, depending on the outcome of the first match, which is played tonight: If Zoltán wins tonight's match, he becomes the champion, while in case of his defeat in tonight's match he and Adrian will later play a rematch, whose winner gets the title. In other words, Zoltán needs to win one match, while Adrian needs to win two matches. The difference owes to the tournament formula and previous results shown in the tournament - Zoltán managed to reach the final without any match loss, thereby securing the advantage in the final. Each match in the final - both tonight's match and the rematch if needed - is played until one of the competitors has at least 22 wins and at least 4 wins more than his opponent, but cannot exceed 71 non-drawn games. Tonight's match is also critical in terms of the team competition, as the competition between Poland and Hungary is so tough that the winner has not yet been determined. Poland has secured 44 points in the team competition, while Hungary - just one point less, which means that if Zoltán wins the final straight in the first match, he brings the team title to Hungary, otherwise the team title goes to Poland regardless of the outcome of the rematch. Thus, the fate of the team title will be determined straight in tonight's match - its winner brings the team title to his nation. And it is highly symbolic that the fate of the team title will be decided in a direct encounter between the two countries' most successful participants. Zoltán and Adrian are in the gomoku community since ages and do not need to be introduced, but there is one pretty symbolic point to mention in this announcement: Both are believed to have played on playok.com under nicknames containing the word "king" - Zoltán under thekingg, and Adrian under kingk0ng, which gives a perfect pretext to say that now the time has come to determine who of them becomes the crowned king of one-minute blitz, at least for the period until the next season's final. The WBC 2018 is over, and the winner is Zoltán László from Hungary, also known as Zoli, who yesterday won the final match with the score 22-10 and secured the title of the strongest one-minute blitz player in the world for the period until the next seasons final. Congratulations! The team competition in the WBC 2018 was won by Hungary. This country finished just one point above Poland, so every point earned by Hungarians was vital. Here is the list of all Hungarians who contributed by bringing at least one point to their country: Zoltán László, Gergő Tóth, Kristóf Ménesi, Márk Horváth, Rudolf Dupszki, Gábor Gyenes, Ádám Beer, Ádám Varga, Attila Kelemen, Gábor Simon, Gábor Sokorai, and Zoltán Sonkoly. Congratulations! The announced tie-breaking criterion was the time of submission, but this criterion cannot be fairly used to compare the WBC experts with ordinary participants of the assessment competition, because the assessment competition was announced after the experts submitted their assessments; I decided to give preference to the experts, because the ordinary participants had the advantage of knowing the groups. For ties between experts or between ordinary participants, I used the time of submission as the tie-breaking criterion. The WBC experts are shown under masks Expert1, Expert2, etc. We do not say which expert is under which mask, but here is the list of the experts: Denis Osipov, Gergő Tóth, Igor Eged, Ilya Muratov, Łukasz Majksner, Vladimir Nipoti, and Zoltán László. Although the differences in the number of points may seem small, they are in fact significant. Roughly speaking, this is because the most part of points was earned by correctly predicting obvious things, and the differences are basically due to different predictions on non-obvious things, which required real assessment skills. Interestingly, if Kamil did not resign from the WBC and, as some expected, took the 2nd place, then the assessment competition would be won by Expert3, while Expert2, Expert5, I and Szczepan Łukasik would be one point behind. I made a list showing how much better or worse each WBC 2018 participant performed as compared to what was expected from him. To make calculations, I compared the actual result of each WBC participant expressed as a power of 2 (top 32, top 16, etc.) with the assessment given to him by each participant of the assessment competition. For calculations, I simply took the difference between the levels, i.e., if the actual result of a WBC participant is top 4, and if the assessment given to him by a participant of the assessment competition is top 16, then the difference is two levels and positive. Then, for each WBC participant, I simply summed all differences. The biggest surprise is Gergő Tóth, who showed excellent play and preparation for WBC matches and won the bronze medal. Gergő is on fire this year - he successfully defended the title of Hungarian Meijin, was on the very top of the world rating list, won the IRP championship, and his great experience in live and online gomoku also materialised in the 3rd place in the WBC 2018. The second surprise is Gasan Babaev, who made it to the top 32, which no one but Gasan himself expected. Gasan greatly improved his play as compared to the previous season. The third surprise is Oleg Eremin, who rarely plays one-minute gomoku, but was able to adapt to this time control and make it to the top 32. The fourth and fifth places on the list of surprises are shared by two players from South America, a Columbian and a Venezuelan, who managed to finish in the top 32 contrary to the expectations of many. The sixth place on the list above goes to Piotr Bieniek, who showed very solid play this season and made it to the top 8, while many expected him to be only in the top 16. The seventh place on the list belongs to Márk Horváth, who often plays and trains with Zoltán László, the winner of both WBC seasons and the current world champion. Márk participated in his fist live tournament shortly before the start of the WBC 2018 and now has already participated in three live tournaments. He finished in the top 12 this WBC season. Given Márk's effort, his high place in the WBC 2018 as well as on the list of surprises is well deserved. Denis Osipov and Ibrahim Kaan Aslan greatly improved as compared to the last season and share places 8-9 on the list above. Denis managed to finish in the top 6 and gave an extremely tough battle to Vladimir Nipoti for a place in the top 4. Ibrahim started playing gomoku some months before the previous WBC season and barely qualified to play in that season, but now he has finished in the top 24, which is a huge step forward. And the 10th place on the list above goes to Timo Ilu from Estonia, who is a renju player and is practically not seen on playok.com, but showed a very high level of play and finished in the top 16. The examples above are very inspiring and highlight that one can greatly improve and achieve nice results by effort, determination, and passion. I think many of the players mentioned by me indeed improved as compared to the previous year. Gergő was only in the top 32 last season, and now he has earned the bronze medal. And it is not sheer luck - Gergő invested a lot of time and effort to preparation to particular matches, as noticed by me as well as by Denis Osipov and as confessed by Gergő himself. In the match for a place in the top 3 against Bano, Gergő won four(!) games by choosing a colour in the opponent's schemes. Gergő also played many training games on Kurnik during this season. I talked with Gergő many times and saw a really interested, involved, and determined fighter. Denis Osipov finished in the top 16 last season, and this season he managed to get to the top 6 and gave an extremely tough battle to Bano in the match for a place in the top 4, which required an overtime. I talked with Denis a lot via a private messages, and I very clearly see that this season he took the WBC much more seriously than in the previous season. Denis also trained really a lot during this season  just look at his statistics on the nicknames nfktatontfktl and c0sm0s. After he won the Russian gomoku championship this year, he publicly wrote that playing one-minute games on Kurnik helped him a lot to achieve such a success. Gasan was a player of a level of 1600 on the Kurnik scale last year and was unable to qualify to the WBC 2017, and this year he is able to consistently maintain an orange rating (1800+) on Kurnik and managed to finish in the top 32 and take the 2nd place in his group. He plays on Kurnik really a lot and has more than 30000 games on his nickname ggasan, which was registered in May 2015, and he has a bunch of other nicknames. He is very devoted to the game, as I can judge by his activity both on Kurnik and on the Russian gomoku discussion forum. Ibrahim started playing gomoku just two years ago and barely qualified last year, and now he is a player of a level of ~1900 on the Kurnik scale and managed to finish in the top 24. I also want to say that globally, the assessments proved to be quite accurate: The maximum number of points that theoretically could be earned is 63 (a perfect prediction), and the actual results range from 48 points to 55 points, so the accuracy ranges from 76.2% (Boneslash and Topkin) to 87.3% (Expert5 and I). Rejestracja do nowej edycji WBC właśnie się rozpoczęła. Wszelkie informacje dotyczące rozgrywek znajdują się tutaj. W porównaniu do poprzedniej edycji reguły pozostają w zasadzie bez zmian; jedyną zmianą jest skład osobowy Organizatorów. Serdecznie zapraszam do udziału! Skrócona wersja regulaminu w języku polskim w załączniku. Faza grupowa trwa od 6 lutego do 3 marca - w tym czasie uczestnicy mogą rozgrywać mecze w ramach swoich grup. Pod powyższym linkiem są już dostępne pary pierwszej rundy fazy pucharowej.